It’s the world’s most powerful digital camera and it sits atop the Blanco telescope in the Andes Mountains of Chile. But it was constructed on the campus of Fermilab in far west suburban Batavia. The Dark Energy Camera officially began its work on August 31 and has already captured some amazing images of outer space. Its real mission, though, is to help scientists figure out if so-called Dark Energy is responsible for the universe’s accelerating expansion. We learn how the camera is helping scientists unravel one of the greatest mysteries in the cosmos. 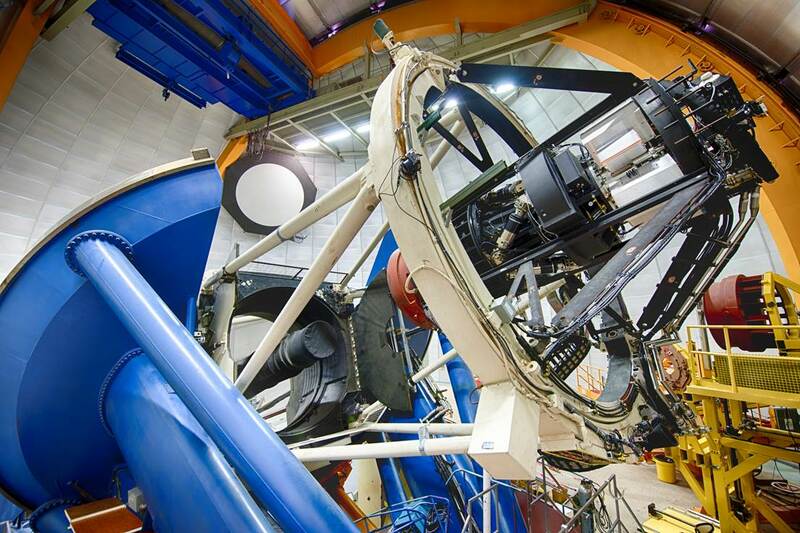 View a slideshow of photos taken by the Dark Energy Camera. Members of the Dark Energy Survey collaboration explain what they hope to learn by studying the southern sky with the world's most advanced digital camera in the following video.